It’s Almost Impossible to Find Out the Cost of a Medical Procedure. This Company Is Trying to Change That. For a patient looking to see a doctor for any given medical procedure, costs often vary wildly based on the facility or physician. Take non-surgical repair for a broken ankle. For a 26-year-old female insured by Cigna who chooses a top-rated orthopedic surgeon in Washington, D.C., such a procedure costs $1,729. But if she chooses another top-rated orthopedic surgeon in nearby College Park, Maryland, the procedure costs $1,199. That’s according to a company called Amino, which mines data from billions of health insurance claims from the private and public sectors. Amino then gives patients access to information on the cost of various procedures and how much experience doctors nationwide have in those procedures. And in the age of rising deductibles and out-of-pocket costs for health care, this Silicon Valley-based company is working to put more of such information in the hands of patients. An alumnus of Zillow, a real estate company that provides data on the housing market, Amino CEO David Vivero decided to start the company in 2013 based on what he personally had gone through in searching for a new insurance plan. Because Vivero has a pre-existing condition, he realized he probably would have trouble finding a good insurance plan and a good doctor. The company provides consumers with access to specifics about procedures, doctors, and costs generated by its massive database of health insurance claims from government and private-sector partners. Users head to its website, Amino.com, and click through five screens—procedure, gender, age, location, and insurer, which is optional—before they’re presented with results for doctors based on quality and prices for more than 90 procedures. Need a chest X-ray in the Arlington, Virginia, area? For a 26-year-old female enrolled with UnitedHealthcare, the nation’s largest insurance provider, the procedure will cost $662 at Virginia Hospital Center, the top-billed facility. Need to repair a broken ankle in the Sarasota, Florida, region? For a 48-year-old male insured by Blue Cross and Blue Shield of Florida, the procedure will cost $2,029 to see the top-rated doctor for fixing a broken ankle. The website doesn’t have any ads or sponsorships, and because of this, Vivero says, he hopes Amino can offer “truth” to health care consumers. “By committing to not taking advertisements or allowing for providers of care to bid up, we can promise the results are data-driven for consumers,” he says. Transparency can really change markets. Having an empowered consumer was really something that would really create both a competent set of choices, and also solve problems for insurance plans and providers who are now dealing with the realities of this emerging consumer class in health care. And as deductibles on health care plans have continued to rise, leaving consumers to pay more out of their own pockets, more companies see a market for showing patients the costs of medical procedures. When it first launched, Amino provided users with information on the quality of doctors featured on the site. In October 2015, the company introduced a service allowing users to tap into its database of doctors nationwide to determine which they like based on how much experience doctors have with specific conditions and the insurance accepted. It also allows users to book an appointment. And last year, the health care company unveiled its cost estimates, allowing patients to find the costs of 49 different services or procedures and estimate what they may have to pay based on their insurer. 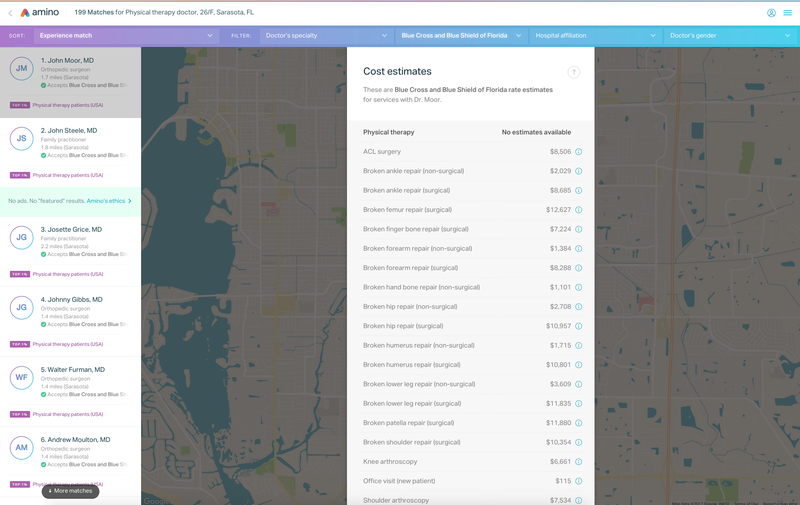 Today, Amino provides cost estimates for more than 90 procedures. “They’ve been able to finally compare and understand the prices that are available for them, which is a huge opportunity for the average consumer,” Vivero says of users. As of 2015, health care spending in the United States reached $3.2 trillion, according to the federal government, and health insurance data has been used by others in the industry to build actuarial models and combat fraud. But Vivero says his company is the first to marry access to that data with patients’ desire for transparency. 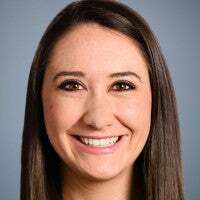 “As it relates to using this data to empower consumers to feel informed and confident in their health care choices, we feel we’re the pioneers,” Vivero says. The company is one of several ushering in a new era of transparency in health care, fueled by higher deductibles and the increased amount patients pay out of their own pockets. According to the Kaiser Family Foundation, the size of deductibles increased 12 percent in 2016 for consumers in the group market. For employers with fewer than 200 employees, 65 percent of workers are in high-deductible plans, with the average deductible totaling $2,000. In the individual market, deductibles have continued to rise as well. According to an Avalere study of plans sold on Obamacare’s exchanges, combined deductibles—which include medical and drug deductibles—for silver-level plans jumped 20 percent from 2016 to 2017. In 2016, for example, the average combined deductible for a silver-level plan was $3,075. In 2017, that rose to $3,703. Though many patients began noticing a rise in deductibles after implementation of the Affordable Care Act, the Kaiser Family Foundation notes that this trend began before Obamacare was signed into law. Still, as consumers move toward health insurance plans with lower premiums in exchange for higher deductibles, they tend to desire more information on health care services. Brase and her organization advocate a cash-based system of health care, where patients don’t have to rely on insurers to pay their bills. Removing insurers from the equation allows patients to negotiate prices directly with providers, she says. Transparency is really important because it moves us back to true sensitivity about prices. Because of Obamacare, it forced people into paying for their own bills, [and] they then naturally gravitated toward transparency. They started asking for prices, shopped around, and went on the internet. Brase warns that in today’s system of health care, it’s difficult to know what the “true cost” of any given procedure is, since insurance companies negotiate prices directly with providers. That means that even within the same hospital or medical facility, costs may vary. But the push for more transparency in the health care industry can help get patients closer to solving that puzzle, Brase says. Vivero says he has heard from many Amino users who use his company’s website for different purposes. Some report that Amino helped save “tens of thousands of dollars,” he says. Other consumers praise the company for helping to avoid misdiagnoses, since they were able to find experienced doctors to get a second opinion. And others changed their habits of health care consumption based on the information Amino provided. What they do with that is either to choose a physician, or sometimes they budget differently. Or they might decide to get that procedure done in one calendar year versus another. But at the very least, you have the information you need to make that informed choice. 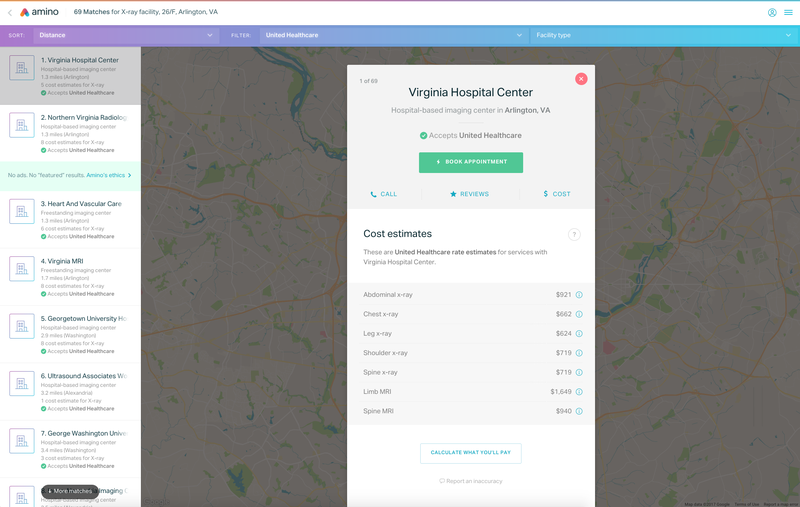 To provide patients with cost estimates, Amino partnered with more than a dozen companies across the health care supply chain—health IT companies, payment processors, insurers—to compile data on patients’ health insurance claims. That gave the company access to a trove of insurance information from the private sector. Then, in 2014, the Centers for Medicare and Medicaid Services—the federal agency that also oversees Obamacare—named Amino a “qualified entity,” making it the first for-profit company to receive the designation. As a qualified entity, the company received claims data from Medicare Parts A, B, and D.
Amino removed all identifying information from the data it received and, with the claims, built a database with information on which doctors take which insurers, how much different procedures cost, and how much consumers will pay. Vivero says his company now has data from more than 9 billion health insurance claims, and Amino users can book appointments online with more than 900,000 doctors and facilities. The company recently added Amino Plus, a service for insurance companies or employers that gives members access to additional information on their insurance plans, including plan documents, network data, and the current status of their deductibles and out-of-pocket maximum fees. “The effect of that is to drive even greater use of in-network services so that … the consumer gets fewer surprise bills and so the employer gets fewer surprise bills and out-of-network charges,” Vivero says. In March, Amino released a study with Ipsos, a market research company, exploring Americans’ attitudes about health care costs. The study found that 63 percent of Americans said that receiving a medical bill they can’t afford is worse than or as bad as being diagnosed with a serious illness. Additionally, 55 percent said they received a medical bill they couldn’t afford, and 1 in 5 said they avoid high medical bills by avoiding the doctor. Vivero says Amino’s mission is to help patients make more informed decisions that save money. “We hope to give them the information they need to make smart choices that in the long run are better for their wallets and better for their health,” he says.